This watercolor (watercolour) landscape painting demonstration is of a small river scene not far from where I live. The Grose river runs through the Blue Mountains on the outskirts of Sydney, Australia. 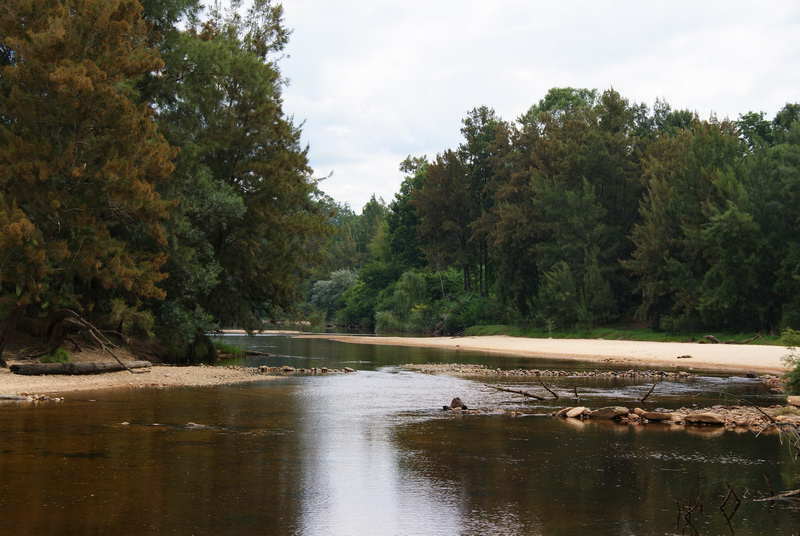 It meets the Hawkesbury river at this point near the village of Yarramundi. Brushes: Round watercolor brushes sizes 24, 16, 12, and 8. Hogs hair fan brush for most of the the foliage. Watercolor paint: Winsor and Newton artists quality water colors, French Ultramarine, Cobalt Blue, Burnt Sienna, Cobalt Turquoise, Aureolin, and Raw Umber artists quality watercolors. When I visit a location I take lots of reference photos from all possible angles. I also take some time to photograph a few images which would make interesting paintings just as they are. This is what I did in this case and settled on this river scene for my watercolor painting. Very little needed to be altered except I took away most of the distant line of rocks which almost cross the river – they were artificially placed there by some children playing at damming! I added a man walking his dog and some birds to add some more life to the scene. 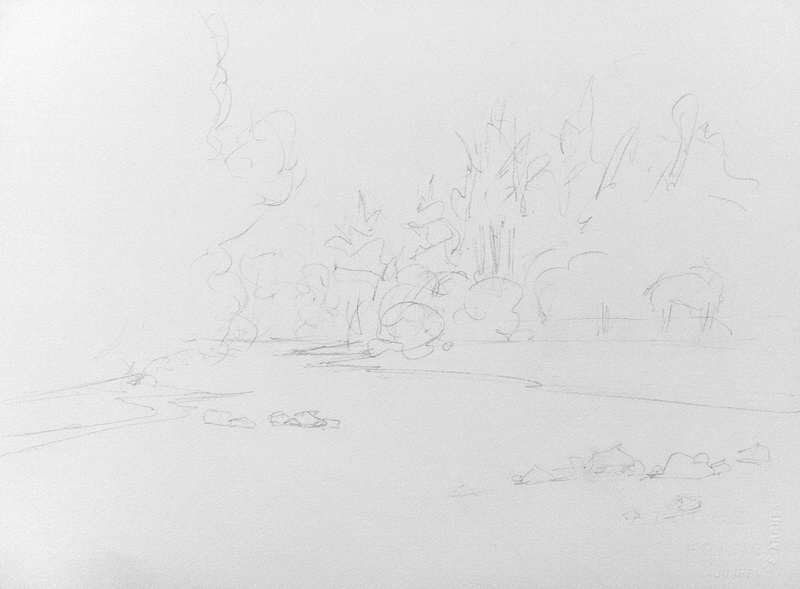 The first step is the drawing which I did very light as I didn’t want the pencil marks to show through at the top of the tree line. The important thing is to make sure that the river does not look like it is flowing up hill. This is achieved by having horizontal sections in between the diagonals. I also make sure the distant part of the river is horizontal.